At some point in your career, you may have bemoaned to colleagues, “How do I get my leaders out to talk to employees? We’re going through lots of change, they need to be visible and I can’t get them out of their offices.” Despite well-thought-out leadership communication strategies, leaders may balk at getting face-to-face with employees to listen, discuss changes and address concerns. We’ve found many of the reasons why they balk stem from their experiences and beliefs from their days as managers. At Gagen MacDonald, we’ve found five reasons leaders don’t communicate, and have helped our clients develop strategies to address them. The business strategy is complex. The strategy must be clear and compelling. Leaders must be aligned on how to tell it. Once that’s complete, we must help them get comfortable telling it. Then go back to your wonderfully-crafted communication strategy to get them out to talk about it. They are uncomfortable with messiness. This belief gets to the heart of what differentiates managers from leaders. Managers are rewarded for protecting stability and fostering execution. Leaders, by contrast, are accountable for achieving a vision and taking people to a new place – and it’s often messy getting there. Managers focus on avoiding or stabilizing messiness, whereas leaders have to be prepared to step into the messiness and create clarity and context where there is none. These are completely different behaviors, with different outcomes. Here are some questions to ask: How has the organization defined leadership behaviors required for the strategy to succeed? What does success look like? Do we have tools and resources to support leaders as they model the new behaviors? Do we have the right rewards in place to recognize desired behaviors? These questions aren’t just the purview of communications – these are leadership development questions. We should partner with HR colleagues to ensure strategic alignment of behavior for success. Someone might ask a question they don’t know the answer to. The truth is no one can master the answers to 100+ FAQs and we shouldn’t set the expectation that anyone has the answer to every question out there. Change entails uncertainty, and not all answers are immediately apparent. We need to help leaders get comfortable with saying “I don’t know.” The best way to bridge through that conversation with confidence is to be transparent about what we do know today and be comfortable navigating back to the strategy story referenced above as a solution to what you do know. They view their “goal” as a communicator as delivering information, not hosting a conversation. My two recent blog posts – Command-and-Control Leadership is Dead and The Role of Leaders in Leading Through Change – explores the importance of responsive leadership. Research by the Institute of Public Relations (IPR) finds strong evidence that responsive leaders are more effective than traditional assertive leaders. Leaders must see communication as a dialogue and adopt a receiver-centric POV. When employees feel they’re being relentlessly sold a message, they tend to resist. Who wouldn’t? But dialogue is different; being listened to is powerful and long-lasting. It builds influence over time, driving adoption and alignment. Remember the question, “are leaders born or made?” The good news is that many behaviors required for effective leaders – including becoming a good listener – are teachable skills. They don’t want to deliver bad news. Change often brings bad news, like having to announce layoffs. It’s important to recognize that long-term success will come with short-term bumps. It’s important for leaders to be able to balance their own perspective and transparency about the good and the bad aspects of change. This can be difficult because, underneath it all, we want to be liked and it’s easy to “shoot the messenger.” Leaders must first commit to being transparent and wrapping their heads around the implications of transparency – both positive and negative. Overwhelmingly, we hear from our clients’ employees that they prefer not to be shielded from the truth. If bad news may be coming, they want to know. Transparency means sharing what you know, when you know it, regardless of whether it’s good or bad. People greatly appreciate being able to plan the next phase of their lives. A clear and compelling story. Articulating the rationale for change and connecting the dots to the company’s history, mission and values are important – but creating the story is only the first step. Activating the story within your organization is where many companies fall short. Effective strategy execution calls for bringing your corporate story to life with immersive experiences and multi-sensory evidence of change. Our infographic Unlock the Power of Storytelling shares more. Committed leadership. Equip your leaders to tell the change story, confidently and authentically, in their own words. More importantly, make sure they understand their mandate to employees, as leaders: to create context and clarity around change where neither exists yet. An intentional roadmap. Advance planning is crucial. Leaders often focus communications energies on announcing change – then fail to communicate at the crucial, subsequent phases, where change starts to manifest itself and things get harder. Our Change Momentum Curve (below) articulates the importance of communications planning that extends beyond the initial phase. In fact, success depends on a long-term view. 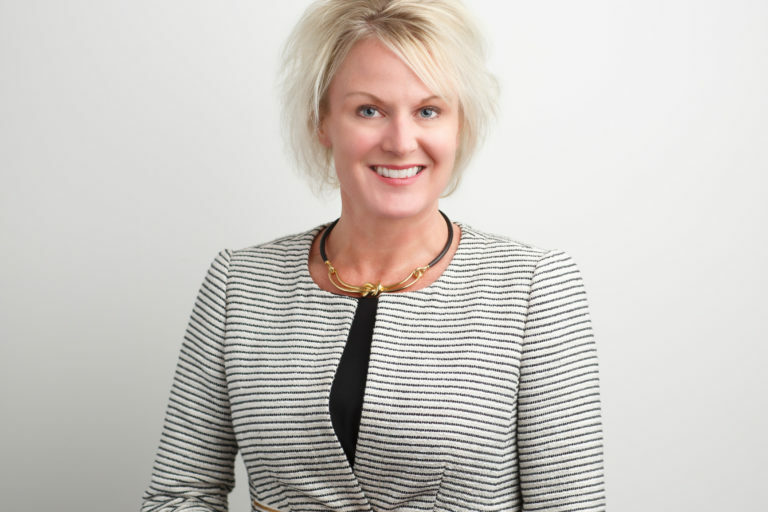 Sherry Scott is president of Gagen MacDonald, a strategy execution firm specializing in employee engagement, culture change and leadership. She is a recognized industry leader with deep expertise in supporting clients undergoing business transformation to address the human struggle of change and drive reputation from the inside-out.